Kylie Jenner wore minimal make-up and looked casual in denim shorts for the shoot. 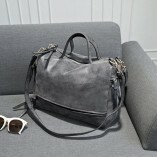 For more information check the article below. 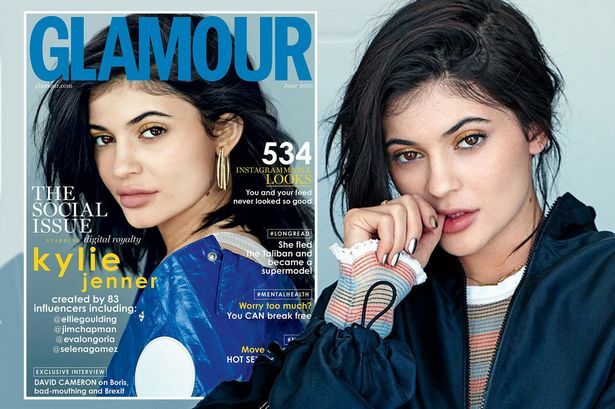 Kylie Jenner looks amazing in her latest shoot as she ditched the heavy make-up for a light and natural look. The 18-year-old star looked fresh-faced for the Glamour cover as she posed for the stunning shot. 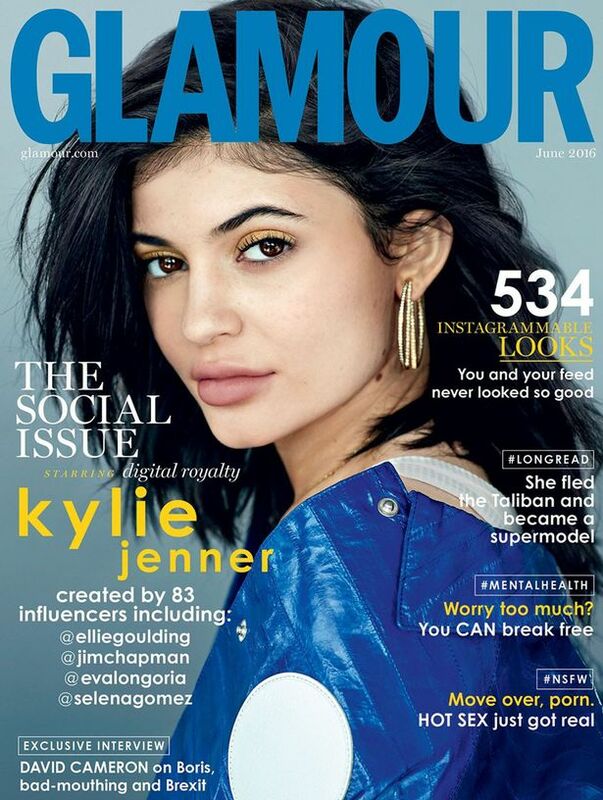 Wearing her hair loose and messy around her face, Kylie is pictured on the cover sporting a blue, shiny leather jacket, paired with some gold multi-hoop earings. Showing us her perfectly-puffy lips, the reality star looked gorgeous as she peered straight into the camera, her brown eyes set off with some gold eyeshadow. The Kardashian star is set to make her Met Gala debut, where she’ll more than likely up the glamour for the star-studded red carpet event. But the latest mag shoot proves whether she’s dressed down with minimal make-up or dolled up to the nines, Kylie always looks pretty on-point. And she was clearly pleased with the pictures as she posted an image from the shoot to her Instagram. The upload was also a big hit with her fans, with it gaining 943,000 likes in a matter of hours. And she’s certainly a big fan of sharing, after the star recently posted a Snapchat video of her getting a tattoo to her app. 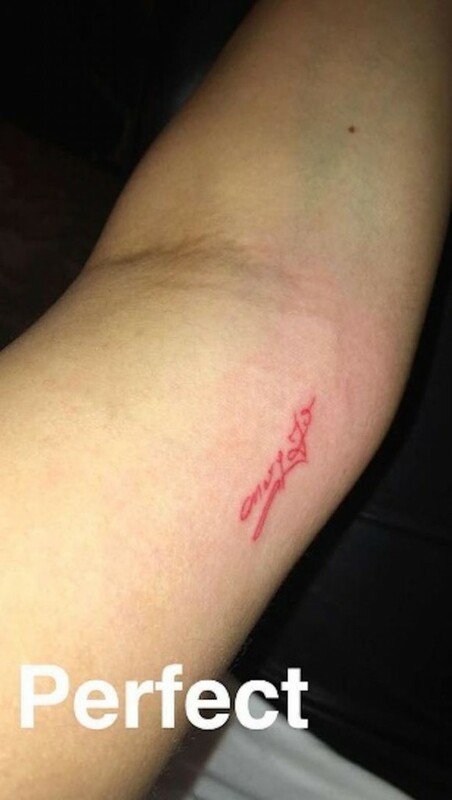 Kylie shared the clip of the artist inking the mystery tattoo to her arm, before the dainty inking was revealed in an Instagram post.